Present state: Demolished - nothing remains of the platforms or station buildings. The bottom brick built floor of the signalbox and the external metal steps survive with some electrical fittings still in place inside. 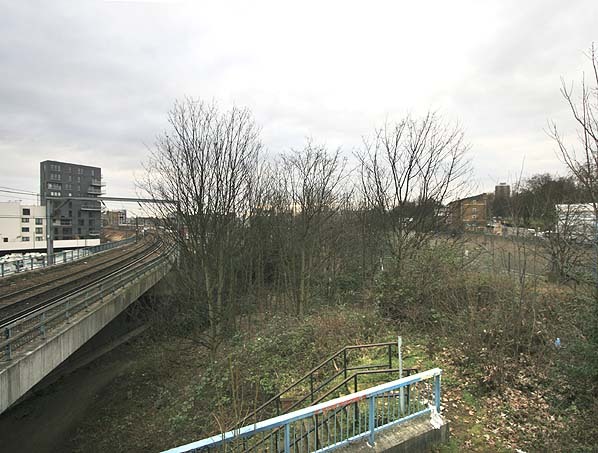 Part of the concrete viaduct is also still extant on either side of the A12 as well as abutments for the bridges that carried the line over Cadogan Place, Wick Lane and the Hertford Union Canal to the south of the station. Notes: With increasing traffic on the North London line and the Eastern Counties line from Stratford, the original Victoria Park station was quickly found to be inadequate and it was replaced by a new station at the junction of the two lines with two platforms on the Poplar line which opened on 1st March 1866 and a single platform on the Stratford line which opened on 1st November 1866.. The new station had its entrance on Cadogan Terrace and comprised a substantial three storey brick building with the booking office at ground level and stairs up to the platform. The upper floor was accommodation for the stationmaster. There was a a waiting shelter with a short canopy on both Poplar platforms with a brick waiting room and a canopy on the Stratford platform. 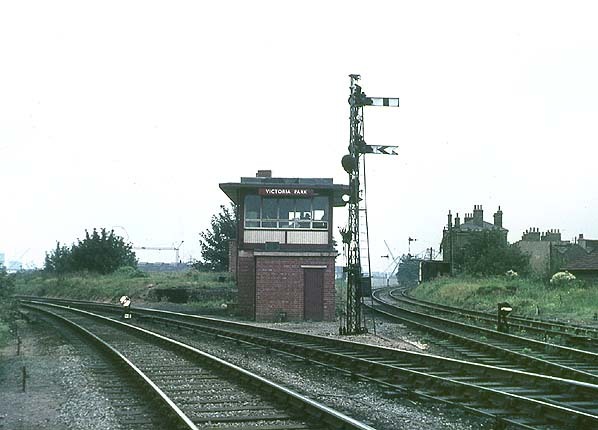 The original signalbox was on the east side of the Stratford lines at the junctions, this was later replaced by a new box between the diverging tracks. remained derelict. Everything was cleared away in 1970 during the construction of the A102M motorway (Now the A12) which cut through the southern end of the Poplar line platforms at a lower level. This involved the removal of the embankment on both lines with new concrete viaducts spanning the new road and its slip roads. The new carriageways passed either side of the station leaving a small isolated section of embankment with the signalbox. Until demolition of the station building it was still possible to read the station name on one of the blackened windows. 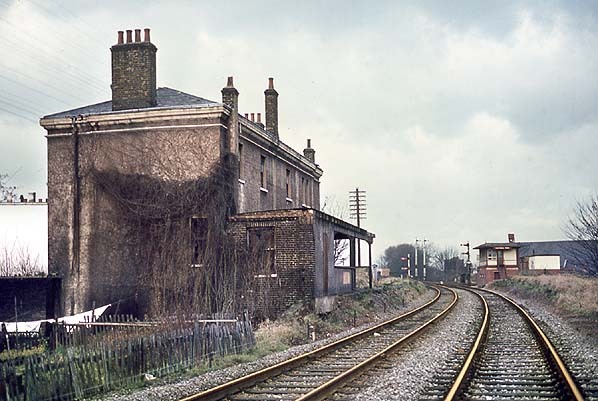 Freight traffic continued through the 1970's although with competition from road transport it was in decline and ceased on 3rd October 1983; the signalbox was closed and subsequently partially demolished leaving just the lower floor and external steps to the upper floor which can still be seen today. 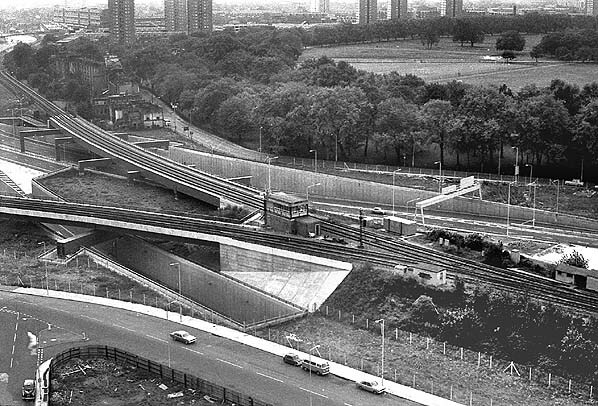 On 5th May 1984 the points at Victoria Park junction were removed, the track was lifted and the new concrete viaduct over the A102M was demolished in the late 1990's..
Victoria Park in 1911, the Stratford plaform is in the foreground with the Poplar line platforms to the right. This view is taken from the original signnal box which stood to the north of the Stratford line. 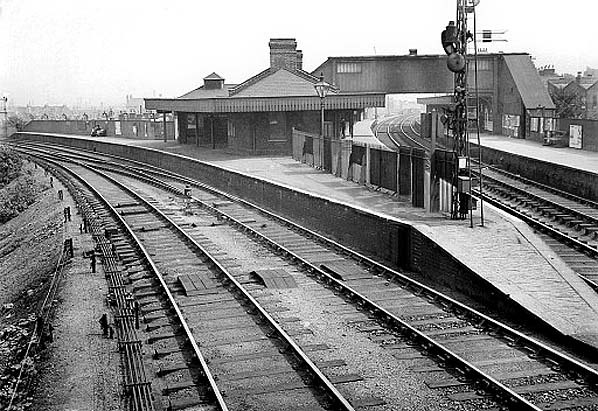 Victoria Park, Poplar line platforms and main station building looking north in 1958. Victoria Park Station in 1968. The very degraded remains of the Stratford platform can be seen to the left with the Poplar line 'down' platform to the right. 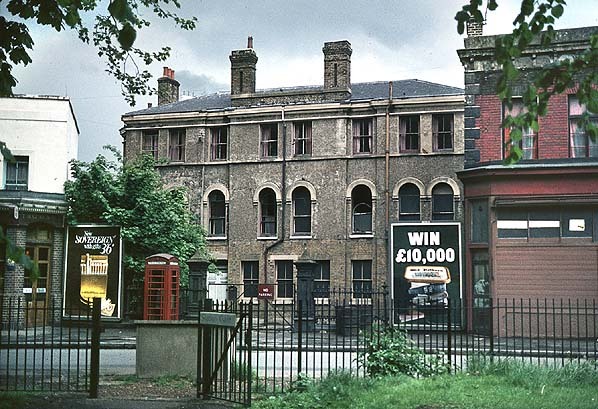 The site of Victoria Park Station in September 1974. 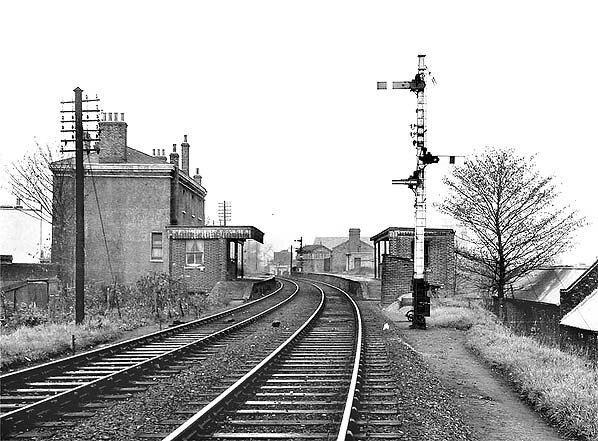 When the A102M was built the embankment and the remains of the degraded platforms were removed and replaced by new viaducts with the two new carriageways passing either side of the station site.. Only the later signalbox remains. The site of Victoria Park Station seen from the remains of the signalbox in September 2009. The Stratford line is seen on the left, this together with the Stratford platform was on an embankment here' The Poplar platforms were to the right. Just beyond the bushes the A12 swings in from the right across the south end of the station. No evidence of the Poplar line platforms remains.